The plastic cover can be removed, can be installed garbage bags, easy to clean up. Loading and unloading easily, will not dump even on the bumpy road. To keep the car environment clean, make you feel free and pleasant. 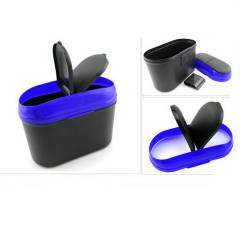 Can be used as trash, ashtray, cup holder or holder parts.